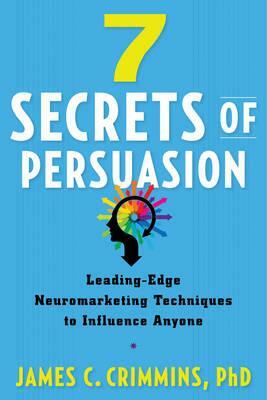 7 Secrets of Persuasion is the first book to take the latest scientific insights about the mind and apply them to the art of persuasion. It directly translates the revolution in neuroscience that has occurred over the last 40 years into practical new techniques for effective persuasion. Unearth the motivation that actually changes a behavior like smoking, voting, or buying, even though people don’t know why they do what they do.